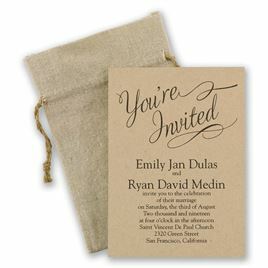 Our collection of rustic wedding invitations encompasses a huge variety of designs and styles. The one that's right for you depends on your lifestyle and personalities. What they all have in common, however, is an appreciation for the natural. 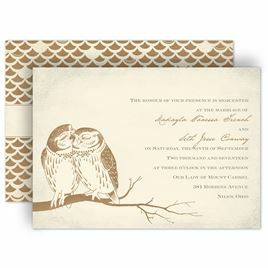 Natural scenes, natural designs and patterns, natural colors. 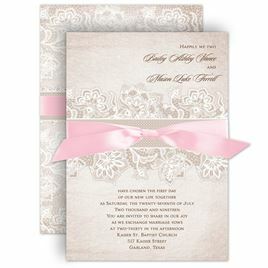 You'll see several design themes in this collection, and each one will speak to you differently. 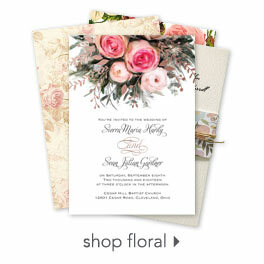 Choose the one that speaks to both of you and you're bound to find the perfect invitation for your very special day. 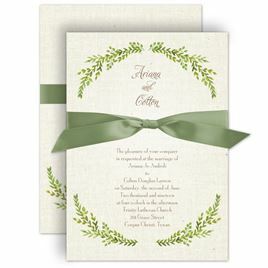 Country wedding invitations are inspired by life on the farm or ranch. A life where you're just as happy being outdoors as you are being indoors. 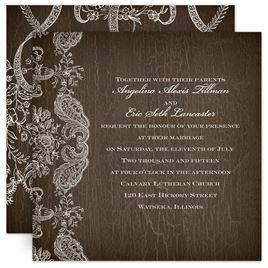 You'll notice lots of woodgrain and wildflowers, perhaps some vintage lace designs and ribbon or twine accents. Take a look at them all and find the design that speaks to your casual country nature. The outdoors life is your way of life! 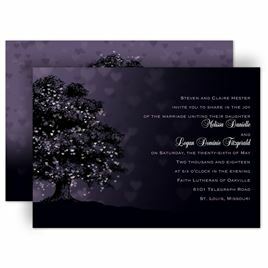 These gorgeous invitations feature nature's most beautiful elements like majestic trees and flourishing greenery in vibrant colors and rich textures. 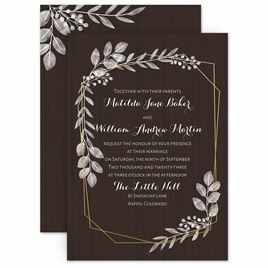 You'll find a variety of specialty print techniques like real foil stamping, laser cutting and thermography, which are sure to get the attention of your guests. 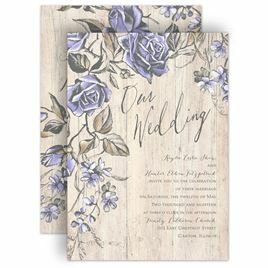 The shabby chic style is a special kind of rustic that combines your love for all things natural with your love for all things beautiful! 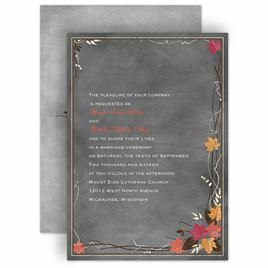 Laser cut wraps around glitter-accented cards and sparkling thermography designs inspired by a walk through the woods. 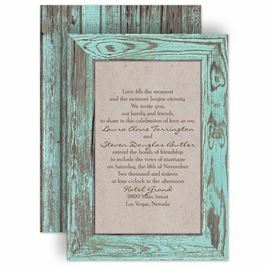 These are just a few of the uniquely stunning, shabby chic wedding invitations you'll find in this rustic collection. 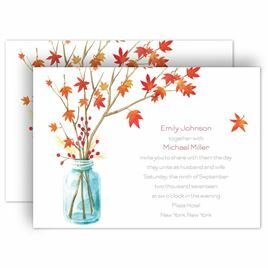 A love for whimsical and charming design makes boho wedding invitations the perfect choice for you! We're talking pretty ferns, elegant branches, intricate florals, glowing lights and sparkling touches like foil and glitter. 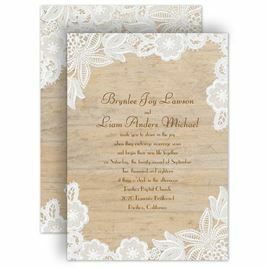 Boho is simply a pretty spin on natural things, and it might just be our favorite rustic style!